I'll never forget the first time I laid eyes on Xu Xiaofeng. A colleague and I were attending a regional meeting of the Lutheran Adoption Network in New York City . Lutheran agencies were presenting their programs and sharing information about waiting children. Xu (shu) was one of those waiting children. 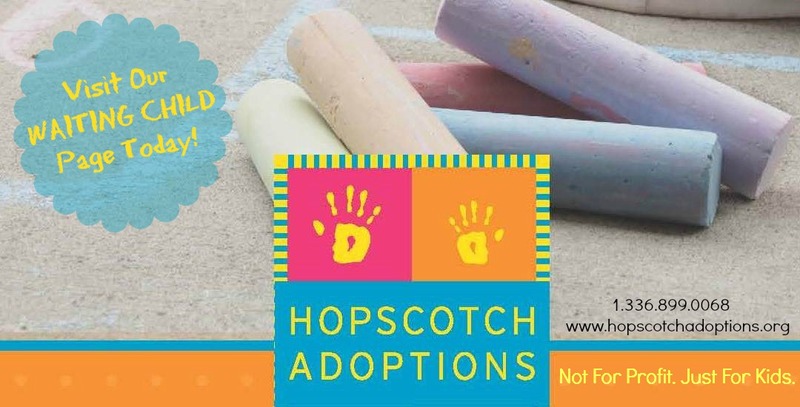 In the world of international adoption, being a waiting child usually means that special efforts are needed to find a family because the child has some kind of special need. What I saw was an adorable 2 year old boy with white blonde hair, very fair skin, and blue eyes. 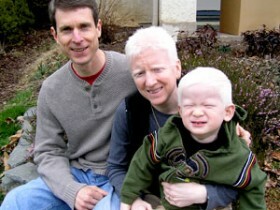 Xu has albinism; a condition affecting pigmentation and often vision. I was drawn to his picture because he looked like my biological son. In fact, I remember saying to my colleague, "Oh my goodness, I'll have to adopt this little guy because he looks like he could be my son." The description of him drew me to him even more. The orphanage staff where he had been living in China wrote that Xu "has a smile for everyone he sees", he is "very smart and likes to be helpfu". Most impressive, his full name means, "hoping to scale the heights of science in the future." I brought the photo and description home with me and showed it to my husband and two children. They were not quite as enthusiastic, but they didn't say "no" either. To be honest, as much as I liked the idea of making Xu part of our family, I was sure that lots of other people would find him as irresistible as I did and I was confident that he would be placed with a family soon. And so I tucked away my longing for this child, reassuring myself that surely a boy this beautiful would soon bring his own brand of joy, love and laughter into a new family. A year passed. Once again I found myself at the Lutheran Adoption Network Conference. I became a speechless statue when I spotted Xu's photo still among the waiting children. Now I knew that I had to do something: either convince my husband and children that Xu was to be the newest member of our family or find a family for him. Lutheran Social Services of New England was working to try to find a family for Xu and I told them right then that I would dedicate myself also to finding a family for this child. I started talking about Xu to everyone I knew. Past and current adoptive families were most interested in hearing about him. A former client suggested that we e-mail his information to different groups. A little over a month later, I received a telephone call from an attorney who knew of a couple that might be interested. Admittedly, my heart sank a little because I was still figuring a way to make Xu ours. However, what I learned about this family made me feel that there was a divine hand in the efforts to find Xu a home. The couple was young, healthy, successful, and did not have any children. Then I learned that the prospective adoptive mother also has albinism. She grew up with serious vision impairments and has had to make numerous adaptations throughout her life. When I sat with the couple to do their home study, I was truly inspired by her achievements and her never-give-up attitude. At 38, Pam is an elite-level runner for the United States Paralympics team and has represented the United States in four Paralympics. She has been an ardent advocate for blind athletes and has been very active with the disabled sports movement. She has served on the board of the United States Association for the Blind and is one of ten athletes in the United States named as an Ambassador for the United States Anti-Doping Agency. She has also been a motivational speaker at programs for youth to promote acceptance of differences and she frequently consults with parents of children with disabilities. Standing beside her, supporting her, and enjoying his new role as "daddy" is her husband, John , who works as a staff attorney for Court of Common Pleas. I knew this was the best family for Xu and was very excited for the process to be completed. After the documents were submitted to China , the family established contact with Xu's orphanage and John and Pam began to introduce themselves to their new son. Tears came to my eyes when I saw a photo of Xu at his orphanage looking at the photo of his adoptive parents. Although he was not yet 4 years old, he immediately recognized that he and his mother share the same condition. He must have been thinking, "She looks like me!" It's ironic that in training prospective parents who adopt a child from a different country or race, we always include issues related to parenting transracially and what it is like to adopt a child who looks different from them. In this case, although Xu was born in China , he found a mother on the other side of the world who looks like him. Additionally, Pam and John are more qualified than anyone else I know to understand, anticipate, and respond to his needs. It took some time, but in the end, Xu found the family that was meant to be his. Xu is now known as "J.T" and he came home in late summer 2006. He is doing well and his mom says: "He's an awesome child, we are so lucky to have him." Xu's adoptive family lives in Ardmore , Pennsylvania . Their social worker, Kelli M. Gottemoller, coordinates international adoption services for Lutheran Children and Family Service of Pennsylvania, a member of the Lutheran Adoption Network.